Fast Response Kit - SHIPS FREE! HeartStart SMART Pads II - SHIPS FREE! FRx Aviation Battery - SHIPS FREE! Infant/Child Key - SHIPS FREE! Long Life Battery - SHIPS FREE! 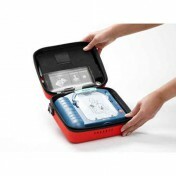 The HeartStart FRx Defibrillator can help save a life in case of an emergency. If you have all the pieces available as a backup, your experience can be much less stressful. Whether you like having extras or simply want a few "just in case" items, these HeartStart FRx Defibrillator Accessories can help you in any situation necessary. 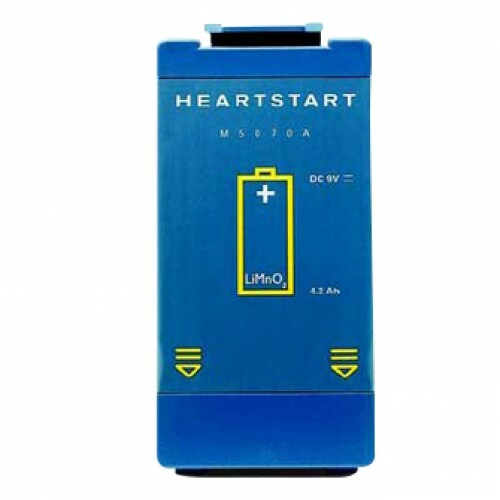 HeartStart 4-Year Battery: A disposable lithium dioxide battery that can last up to four years in standby mode. It can easily attach to the AED device if needed for usage. Aviation Battery for FRx: A battery that's compatible with the FRx system. It meets FAA regulations with commercial aircraft so you know it's safe to use on a commercial flight. HeartStart SMART Pads II, Set: These Smart Pads guide the defibrillator by adapting instructions to the pace of the responder. This assures the user will not rush the situation and complete the step-by-step instructions as needed. Infant/Child Key: Switches the System to use Step-by-Step instructions on how to use the Defibrillator on youth ages 8 and under or persons under 55 pounds in weight. Easy to install and use in an emergency. These products cannot ship to a hospital. HeartStart Fast Response Kit: Contains all the tools and supplies needed in order to take care of a patient. 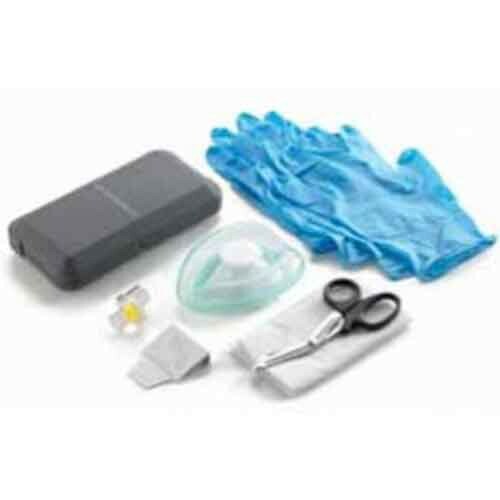 Each kit contains two pairs of hypoallergenic nitrile gloves, one pocket breathing mask, paramedic scissors, chest hair razor and a large paper towel. All these items are contained in a convenient 5-1/2 Inch x 9-1/2 Inch zippered pouch. That pouch is attached to the hand of a semi-rigid or vinyl carrying case.